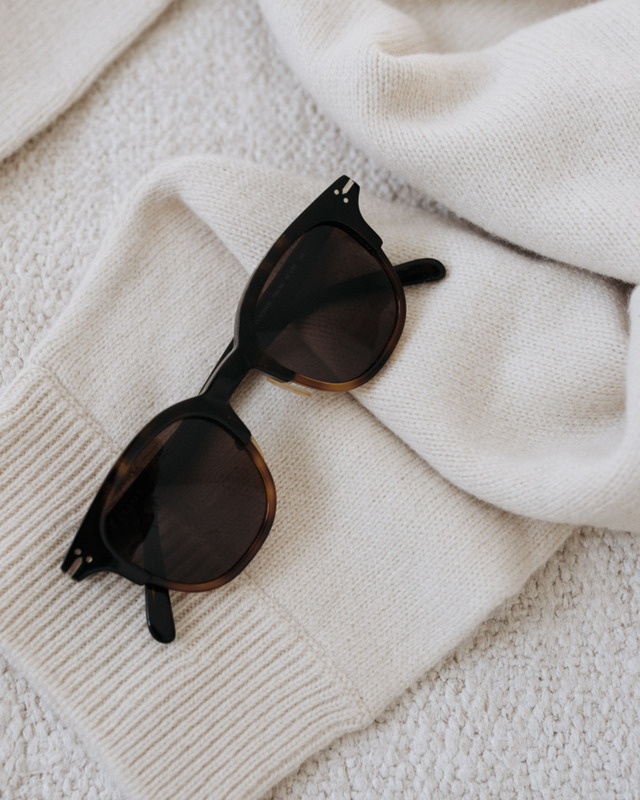 Spring staple: sunglasses by Céline. Minimalistic ease as seen in Cereal Magazine's garment care article. Photo by Rich Stapleton, courtesy of Cereal Magazine. I am in a constant process of editing my wardrobe into something more precise and minimal. And then I feel the urge to be more playful and wear something crazy. Just to amuse myself. So I think the style I am aiming at lies somewhere between loud and super clean. One thing I have discovered when traveling is that I often end up being more creative when I have less options. Even with the smallest suitcase, when you pay a little attention to what you take with you, you have more than plenty of options for different outfits. When away, I find I often dress better than when at home, where I have the whole wardrobe in use. So I try to limit options at home too every now and then. By making a curated, seasonal wardrobe. The easiest and most fun way to do it is not actually editing out what you do not feel like wearing. Instead, you start choosing the pieces you wish to have in you seasonal wardrobe – and stove the rest for now. One of the things I really enjoy is being able to see different colors in a cleaner environment. A red skirt here and a red blouse there. Suddenly the color feels pure and inviting because you chose mostly light neutrals to your selection. When just a moment ago, buried at the back of your closet, behind all the black clothes, it looked dull and too bright at the same time. The process looks something like this, but what actually comes out of it is usually pretty inspiring. And practical. When the pre-selecting is done, it is easy to come up with different options when dressing up. You do not just wear the same jeans and sweater out of habit every day, but you actually feel like you chose how you wanted to look and feel. And even when it is those trusty jeans and a sweater, it is the deliberate decision that makes the difference.